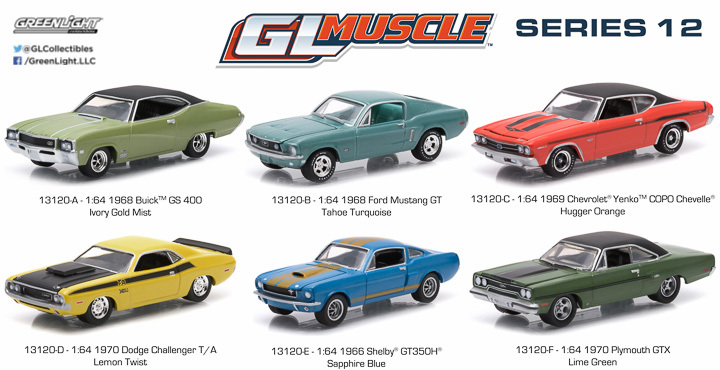 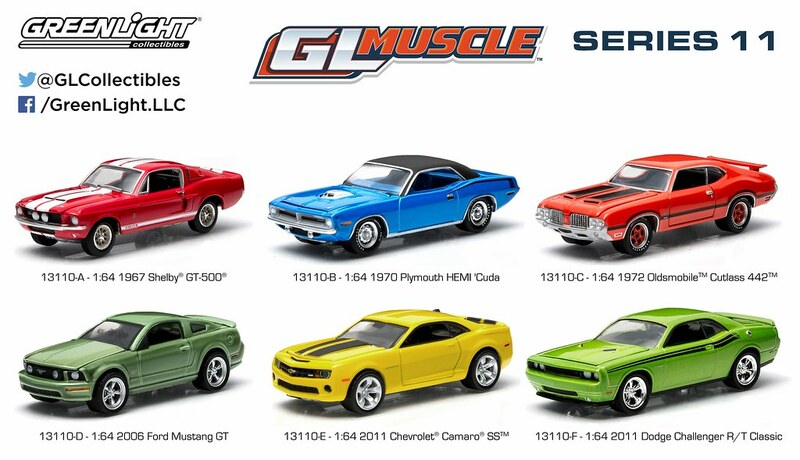 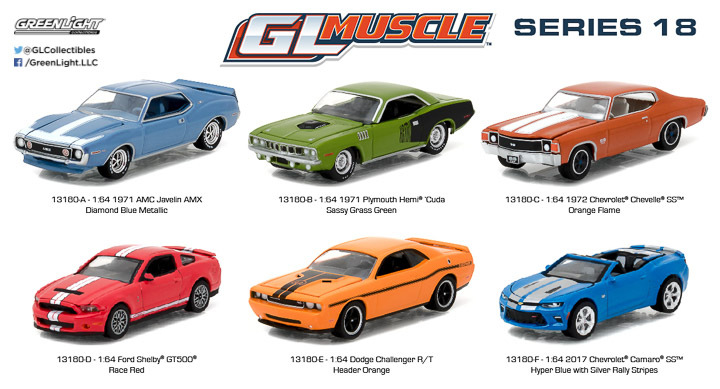 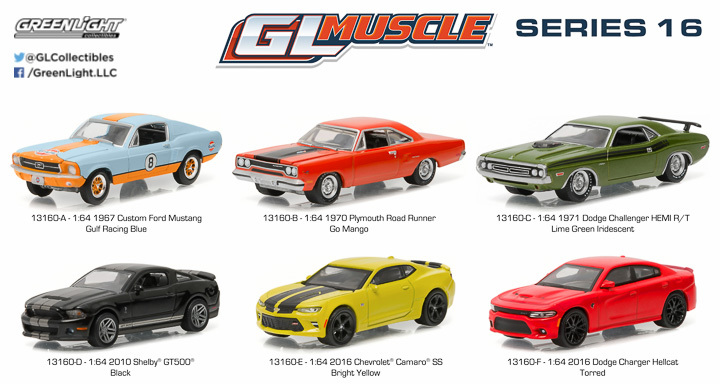 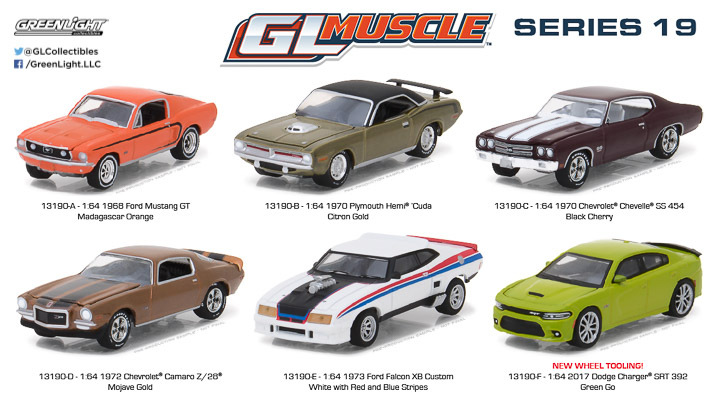 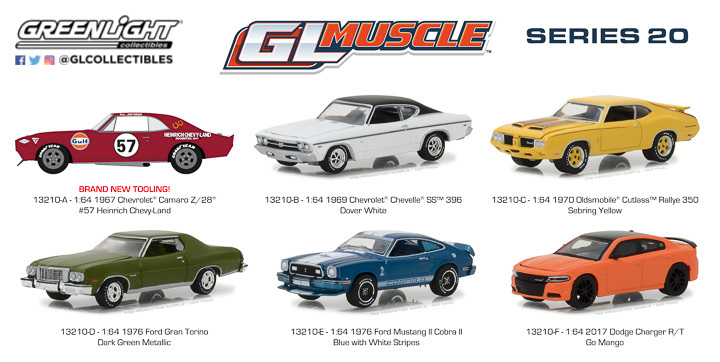 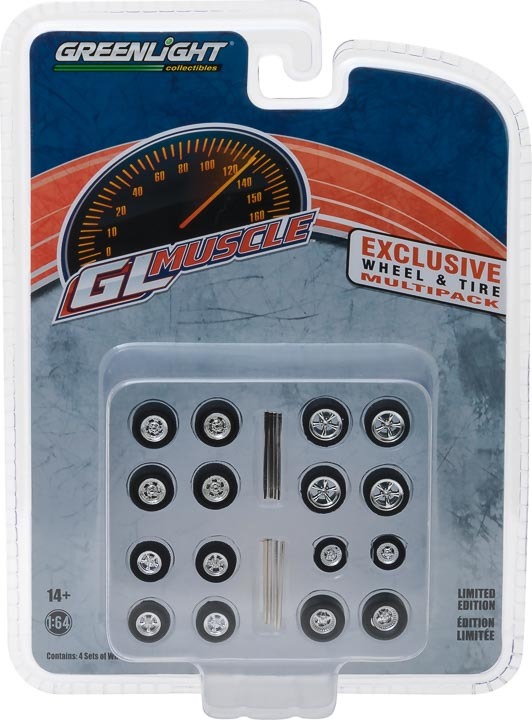 GL Muscle is a collection of the greatest American performance machines both classic and modern. 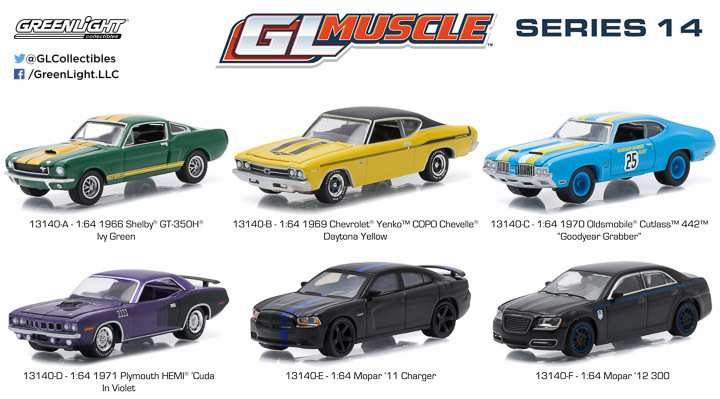 Each car is grouped with a second set of tires and wheels that can be switched out. 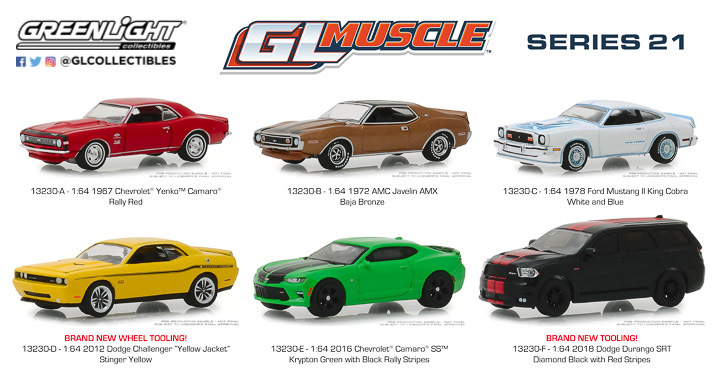 Each car also comes along with a serialized Trading Card, the first of GreenLight's lines to include this. 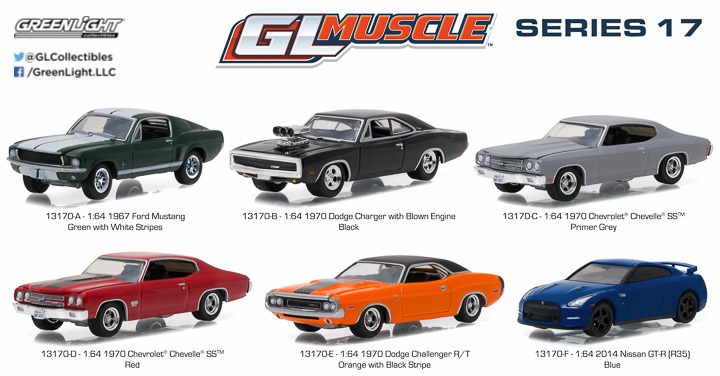 GreenLight is dedicated to visually maintaining the distinct characteristics and details that have made these cars so great.